We guess it’s easy to stay ignorant about the beauty and uniqueness of the Middle Eastern rich and centuries-long tradition and history, as we usually get the negative news and information served to us. Israel, Syria, Iran or Lebanon are famous for their culture, architecture with different palaces, mosques, gardens and churches. If you ever plan to visit this part of the globe, know that there’s so much for you to see and absorb as a tourist. We present you with 5 cities in the Middle East that are a must-visit. 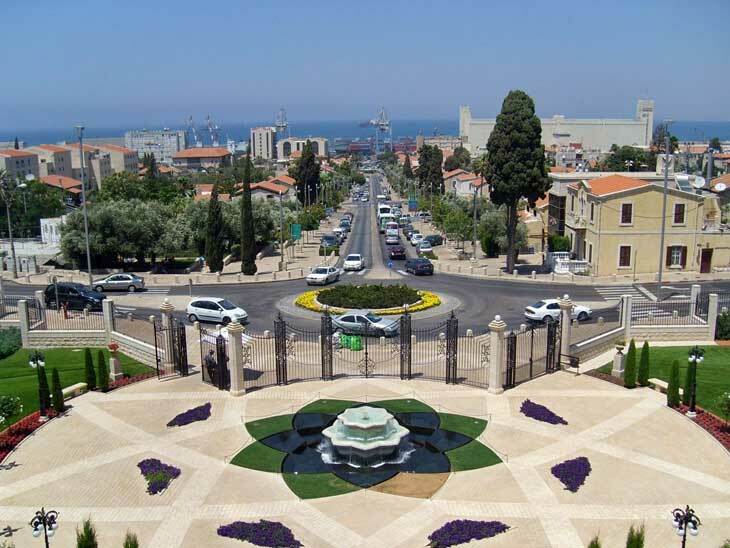 Haifa and Mount Carmel, perched above the Mediterranean shoreline in northern Israel, have become the best places to discover. Their historic landmarks date all the way back to Ancient Israel, and historic sites, such as Tel Megiddo (battlefield that saw a lot of action since 1,500 BC), Hermit House (a famous real-life sandcastle), Nahal Me’arot (a nature reserve where archaeologists found an astounding number of traces of early human life), and a place known as Harry Potter’s Burial Site – not the fictional wizard, but the World War I soldier, as well as a British military cemetery outside Ramla, the grave of hundreds of British soldiers who lost their lives as casualties in WWI. There are a lot of action-packed and family-friendly places to visit, and a plethora of great bars and restaurants for taking a rest and tasting local foods. 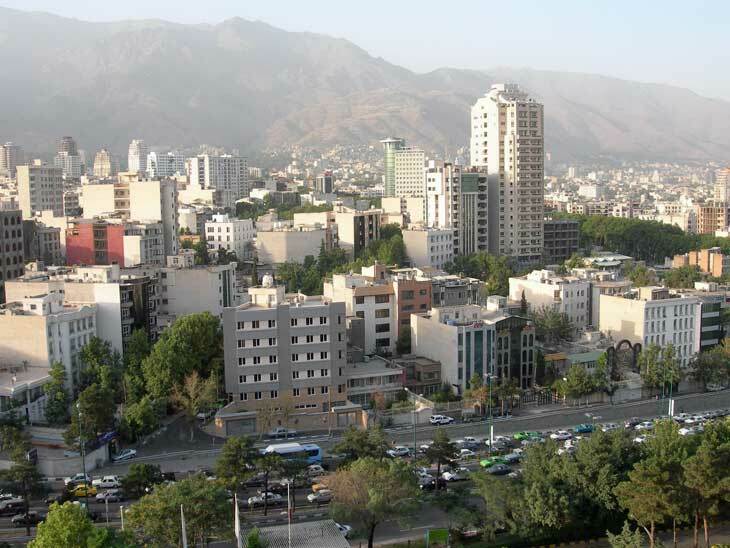 There are outposts of 2 notable brands (business- and family-friendly Novotel and budget chain Ibis hotel) that are to be opened in Iran, which makes them the first Western hotel chains in the last 40 years. Visitors find this country colorful, complex, and traditional, with prime examples of classic Persian architecture to see (e.g. Persepolis, the former capital city of the Achaemenid empire), and refined cuisine to taste (tasty stews and grilled kebabs). Those who seek outdoor adventures have beautiful scenic valleys to trek and desert landscapes to explore, ski on the slopes of the Alborz Mountains, or climb the mountain peaks. Go to some of the city’s upmarket retail strips to dine, drink, or shop. Jeddah, the city to visit when in Saudi Arabia, is a major urban center of the Western part of the country. 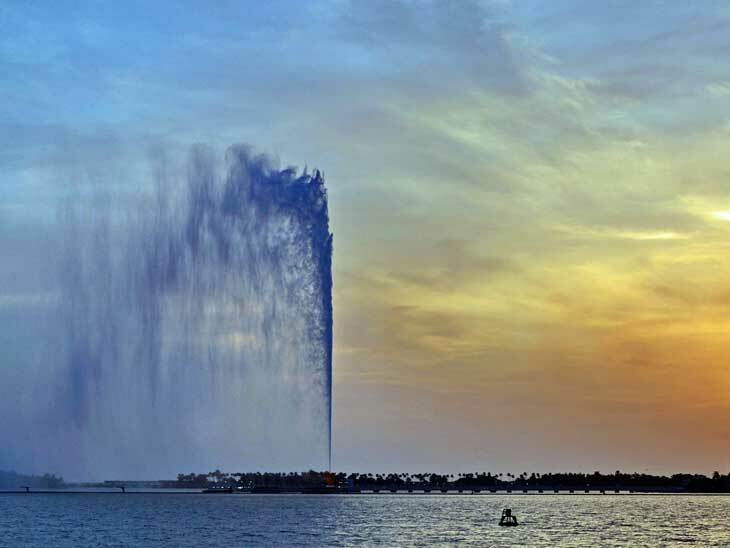 If you don’t know where to go in Jeddah, start with King Fahd’s Fountain (the main tourist attraction). It is the tallest fountain in the world, spraying the water up to 260m high (16 tons of water in the air at any given moment). Visit the historic center Al-Balad, if you want to take a glimpse of cultural heritage the Jeddah people cherish so much (remains of the oldest city’s architecture and traditional houses). Visit the coast if you’re up to some scuba diving or boat trips on a sunny day along the Red Sea. Coffee drinkers better remember to ask the locals where they can drink the best traditional coffee. Once it seduces you, the “wild child of the Middle East” will become your favorite destination, in spite of its mix of contradictions and chaos. It is located on the eastern end of the Mediterranean and has a long history. Visit the 20th century landmarks if you want to discover fascinating sights, and trace the path in the former Green Line, which used to divide West and East Beirut during the civil war. There, you’ll find contemporary structures standing side by side with bullet-scarred apartments of the French Mandate era and crumbling Ottoman mansions. The streets are eerie, and you can jump in a servee, a shared taxi service, and head to livelier neighborhoods of Achrafieh and Hamra. Don’t miss on their street cuisine delicacies, like fruit cocktails with ashta and avocado, and manouche with thyme and meat or cheese. 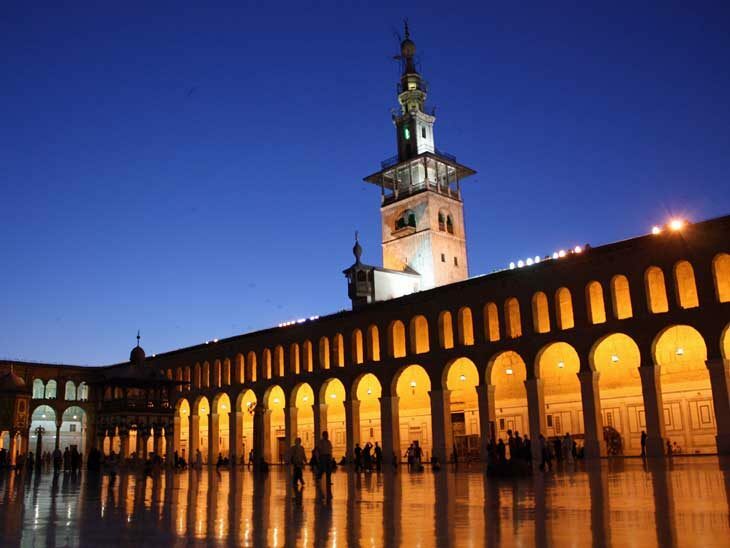 Damascus is the oldest continuously inhabited cities in the world. Syria’s capital is the largest city in the country. The main attraction is the Grand Mosque of Damascus (also known as the Umayyad Mosque) – one of the largest mosques in the world, which stands at the end of Souq al-Hamidiyah, a broad street with many small shops, dominated by the smells of distinctive spices. The Umayyad Mosque is an architectural wonder, which was once an Assyrian temple, then a Roman temple to Jupiter, a Roman church, a mosque and church together, and finally just a mosque. 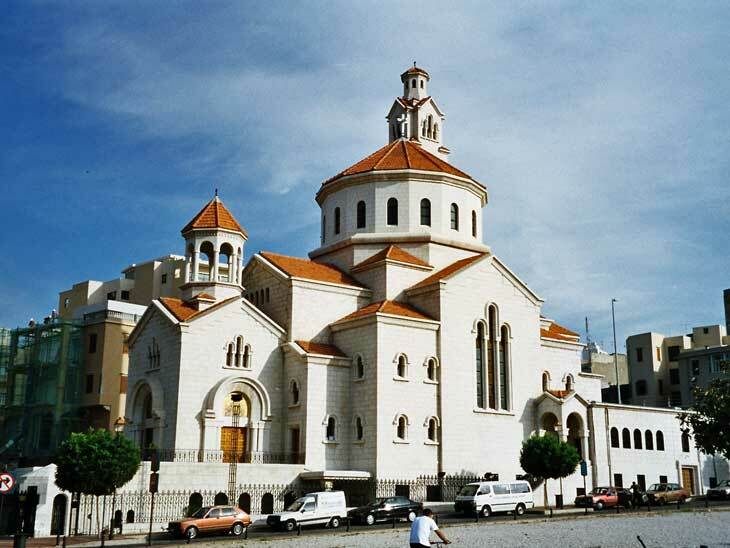 There are many festivals in Beirut, the most famous being the National Independence Day festival, characterized by parades in honor of their national unity and pride. Every September, there is the Arabic Book Fair, which is quite popular, even though it has recently been established. As for the local food, try the unusual camel kebab and visit a coffee house of Old Damascus to drink their ahwa (coffee), shay (tea), and smoke a water pipe called nargileh. Editors note: Damascus is currently facing severe problems and unrest. Any trips to Syria should be carefully considered. Peter Minkoff is a writing enthusiast and travel writer for Voice Boks magazine living in Brisbane and occasionally in Cardiff. You might enjoy his previous articles about “Family Vacation Must Haves”, “Do’s & Don’ts of Winter Vacation Packing“, and “How to Pack For A Fall City Break” . Beside writing and travelling he loves cooking exotic meals and making DIY cosmetics. His plans for future are to visit and discover Northern UK’s hidden gems. You will find Peter on Twitter: https://twitter.com/MinkoffPeter. What is your best city in the Middle East? Please let me know in the comment section below or via email, on Twitter, Facebook , Instagram or Google+.